Willow Creek Outfitters provides mule deer hunting, whitetail deer hunting, black bear hunting, winter coyote hunting and Bighorn sheep hunting in southern Alberta, Canada near the foothills of the Rocky Mountains. Mule Deer Bow Hunts – If you want to hunt record class mule deer join us on a spot & stalk archery mule deer bowhunting adventure. These mule deer bow hunts are a great experience you will not forget! Mule Deer Rifle Hunts –This hunt takes place during our five week rifle hunting season. We start by hunting mule deer in pre-rut bachelor groups and continue hunting all stages of the rut. 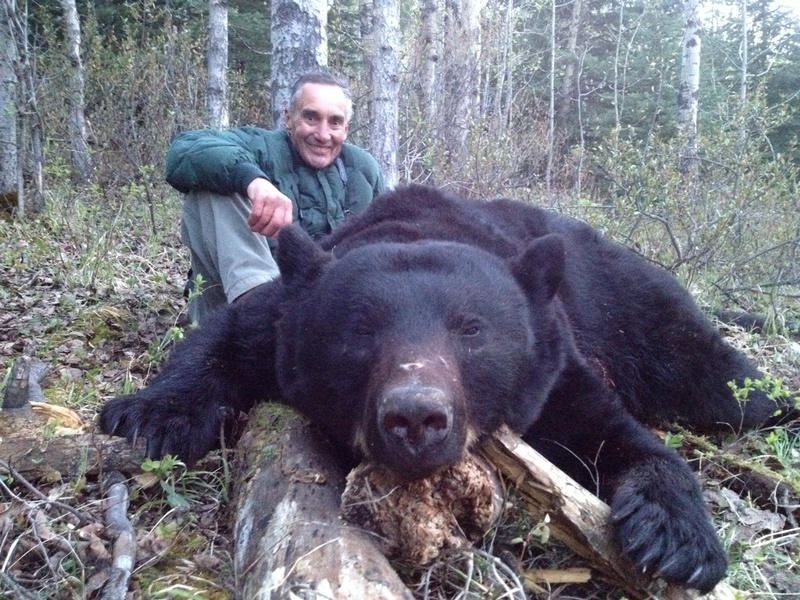 Black Bear Hunts- If you really want to hunt a bear and not just wait for one to show up at a bait come join us on this exciting spot & stalk black bear hunt. Spot and stalk hunts take place in May and we will be the only outfitter operating in this hunting area during the spring hunting season. Whitetail Deer Hunts – An opportunity at a larger buck is quite possible due to the intense rutting activity. For those who can remain patient in their pursuit of a trophy whitetail deer, the odds of connecting are excellent! Bighorn Sheep Hunts – Our sheep tags are guaranteed for non-residents, no drawing required! This hunt will be fourteen days in duration in the month of September with experienced sheep guides. Winter Coyote Hunts –When most big game seasons are closed there is still a thrilling hunting opportunity to be had. These exciting coyote hunts are a great experience!